62445301681 ;jsessionid=101793n2hubqv1871rrxirdtszxxq.10179?wicket:interface=:0:beta-club:modal-container:modal-content:content:body:login-rixty-form:visibilityContainer:fbconnect::IActivePageBehaviorListener:1:2&wicket:ignoreIfNotActive=true It seems like your browser is preventing Facebook Authentication. This happens when your browser's Tracking Protection is enabled. To continue logging in via Facebook, please turn off Tracking Protection or use a different browser. 62445301681 ;jsessionid=101793n2hubqv1871rrxirdtszxxq.10179?wicket:interface=:0:login-panel-small:login-small:login:modal-container:modal-content:content:body:login-rixty-form:visibilityContainer:fbconnect::IActivePageBehaviorListener:1:2&wicket:ignoreIfNotActive=true It seems like your browser is preventing Facebook Authentication. This happens when your browser's Tracking Protection is enabled. To continue logging in via Facebook, please turn off Tracking Protection or use a different browser. 62445301681 ;jsessionid=101793n2hubqv1871rrxirdtszxxq.10179?wicket:interface=:0:login-panel-small:login-small:signup:modal-container:modal-content:content:signup-form:fbconnect::IActivePageBehaviorListener:1:2&wicket:ignoreIfNotActive=true It seems like your browser is preventing Facebook Authentication. This happens when your browser's Tracking Protection is enabled. To continue logging in via Facebook, please turn off Tracking Protection or use a different browser. 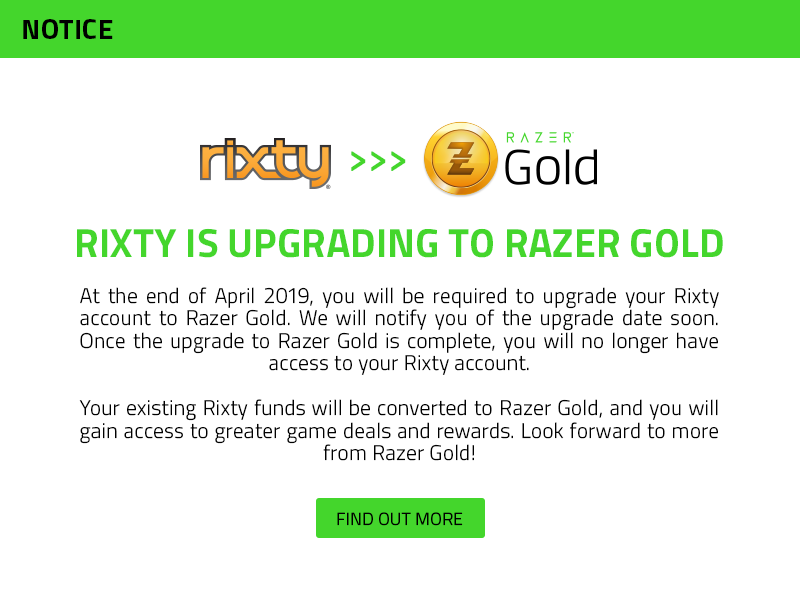 62445301681 ;jsessionid=101793n2hubqv1871rrxirdtszxxq.10179?wicket:interface=:0:redeemcode:modal-container:modal-content:content:body:login-rixty-form:visibilityContainer:fbconnect::IActivePageBehaviorListener:1:2&wicket:ignoreIfNotActive=true It seems like your browser is preventing Facebook Authentication. This happens when your browser's Tracking Protection is enabled. To continue logging in via Facebook, please turn off Tracking Protection or use a different browser. MOLPoints is an online micropayment system developed and operated by MOL AccessPortal Sdn. Bhd. (MOL). This payment system enables consumers to purchase online games, products and services through any one of our localized portals and pay for your purchases at over 540,000 physical, online and mobile channels in 73 countries worldwide. This item is available in MOL’s online store. To Purchase: 1)	Create a MOLPoints account at www.mol.com. 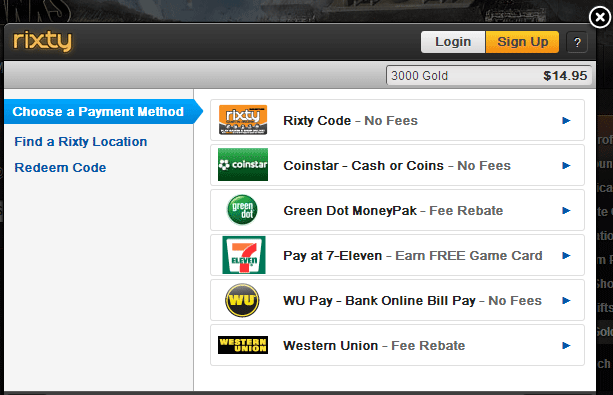 2)	Load your MOLPoints account using Rixty. 3)	Buy item using MOLPoints. The following steps demonstrate how to load your MOLPoints account. Once you have signed into MOL, you will be taken to your My Member Page. On the left under the “MOLPoints Reload” section, select the ‘Reload Now’ link below Rixty. Confirm your Purchase. Double check the transaction details and then click "Proceed" to continue.